Kaffe Matthews has been making cutting-edge sound compositions for over two decades. A recurring theme in her work is broadening the experience of music by actively engaging the body of the listener. Kaffe Matthews injects music into everyday situations, composing for urban and natural environments. Since 1990 she has made and performed new electro-acoustic music worldwide with a variety of things and places such as violin, theremin, wild salmon, Scottish weather, NASA scientists, desert stretched wires and the BBC Scottish Symphony Orchestra. While pressing at the boundaries of contemporary composition, her work remains accessible to a wide audience. The Bicrophonic Research Institute (BRI) is an association that makes music and audio landscapes to be triggered and played by you the cyclist. Not an app and free of the internet, it creates an outdoor listening experience for all, the antithesis of headphones. Launched as an association by Matthews in 2014, the BRI works collectively from a London lab creating open source hard and software applications whilst facilitating the growth of independent sonic cycling hubs worldwide. Currently these BRI hubs are active in Finland, Houston and Brussels, with Berlin underway for 2017. Kaffe Matthews and the Bicrophonic Research Institute came especially to The Hague to make a new interactive musical composition called Pedalling SeaSides – a sonic bike experience. Pedalling SeaSides was specially composed for the dune parks around Kijkduin. Inspired by these surroundings sound artist Kaffe Matthews placed specific sounds in the landscape to be discovered riding a Sonic Bike. Sonic Bikes are specially designed bicycles fitted with loudspeakers and a GPS based audio engine that make music and sounds that change dependent on the place and speed of the cyclist. 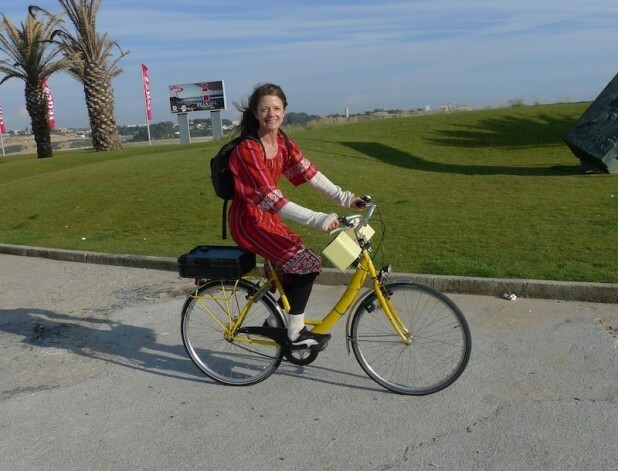 You could experience Pedalling SeaSides between the 4th of July and the 2nd of August 2015 by picking up a sonic bike on the Deltaplein in Kijkduin.